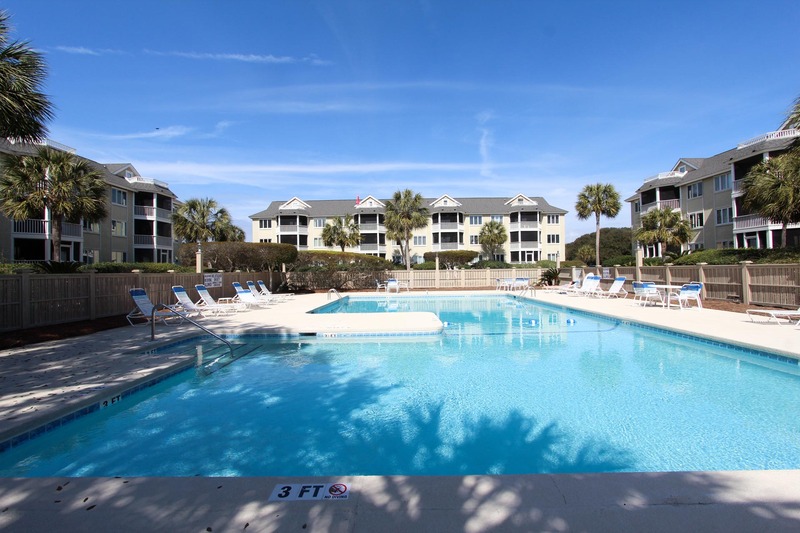 Beautifully remodeled end unit condo on second floor corner with great views of the pool & ocean. 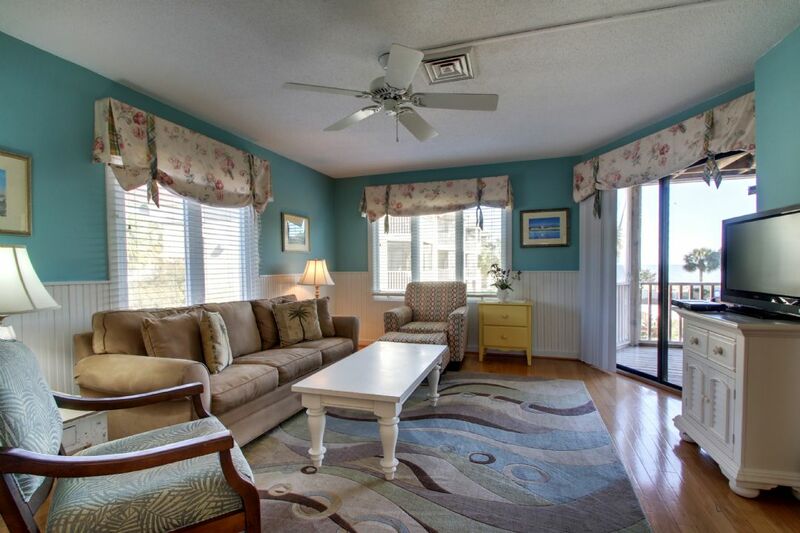 Condo features a bonus twin daybed in the foyer as well as a sleeper sofa. Updated kitchen with granite counter tops. 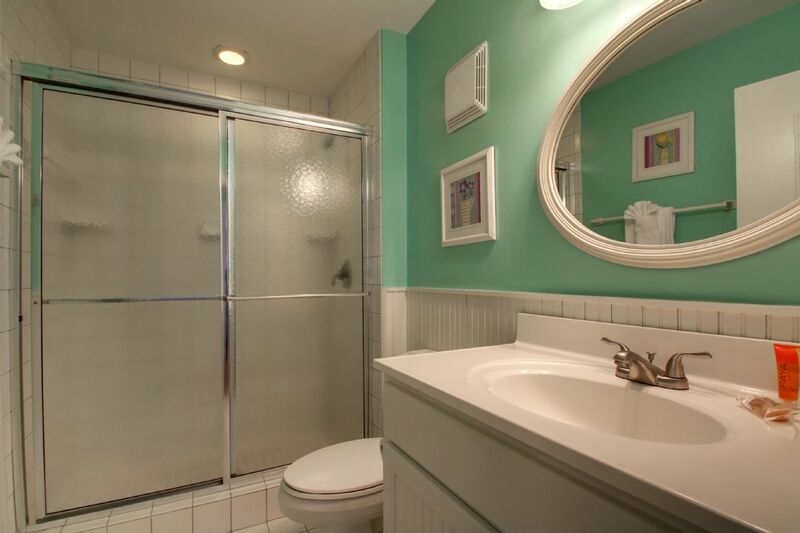 Bathroom remodeled as well with large shower (no bathtub) and updated fixtures. 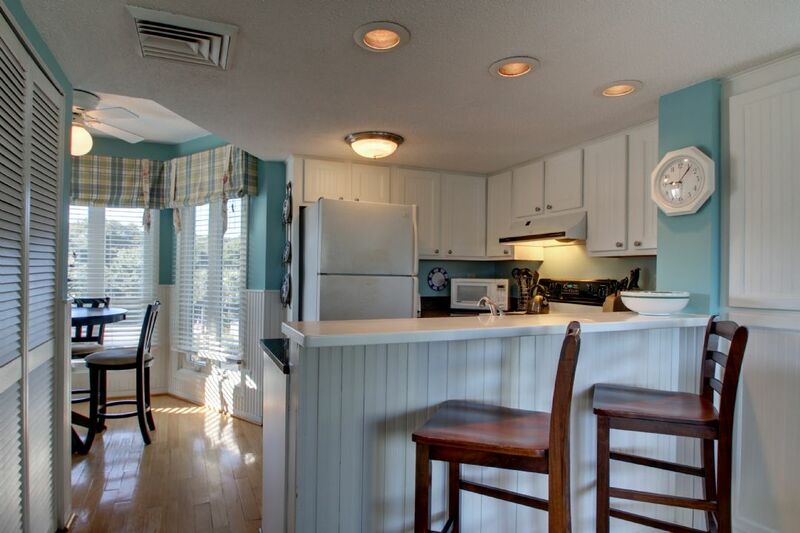 Washer & dryer off kitchen , access to screened porch from both living room and bedroom, flat screens, DVD player, WiFi. Elevator and community pool. Linens. No Smoking. No Pets. Rental unit was roomy even though a one bedroom. Bonus was the day bed. Pool was great! Located in an area in Wild Dues where the beach was not crowded. We thoroughly enjoyed our stay at D-204. 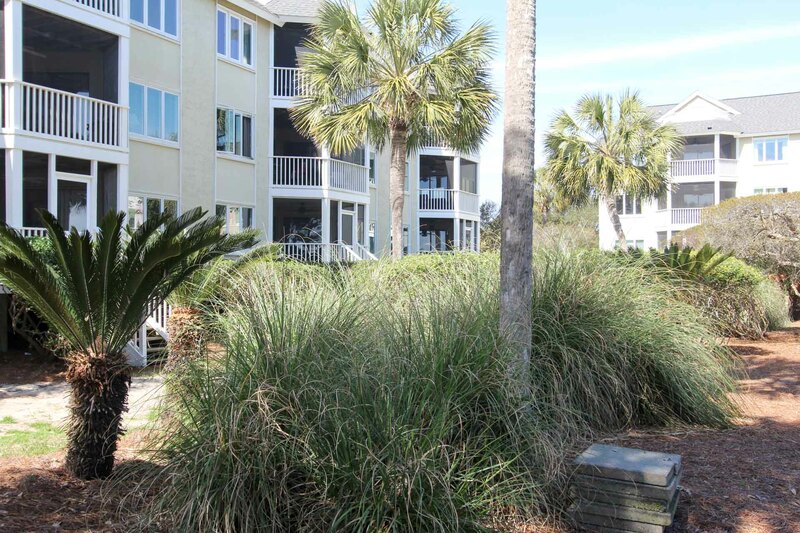 The owners have maximized the space in the unit very well, making it feel larger than it was. 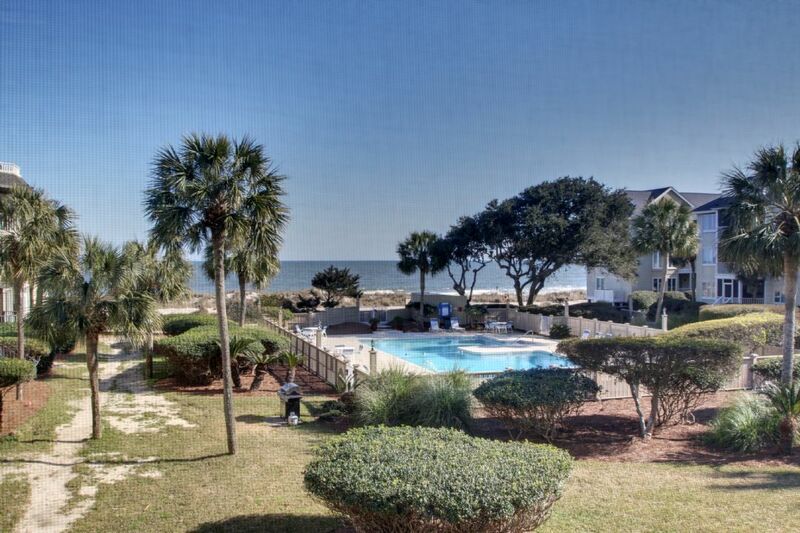 The view of the beach from the porch was perfect. The unit was clean and very comfortable. 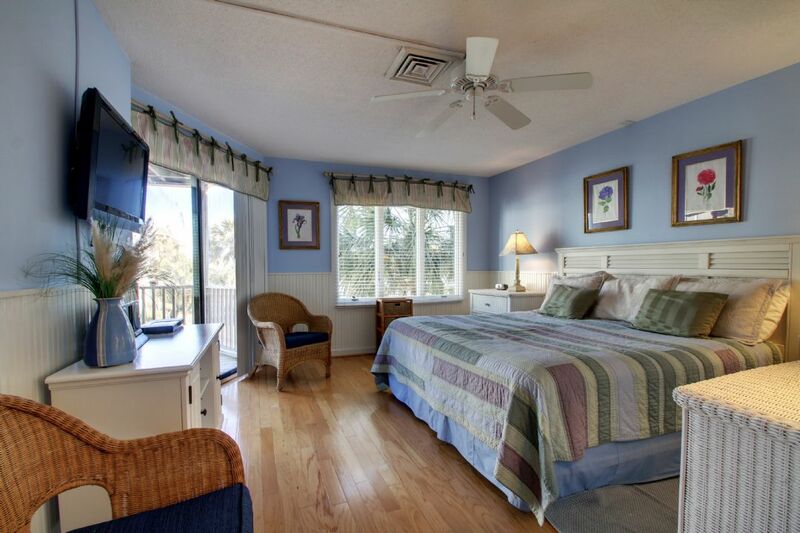 We would definitely stay here again, and I have already recommended it to family and friends. 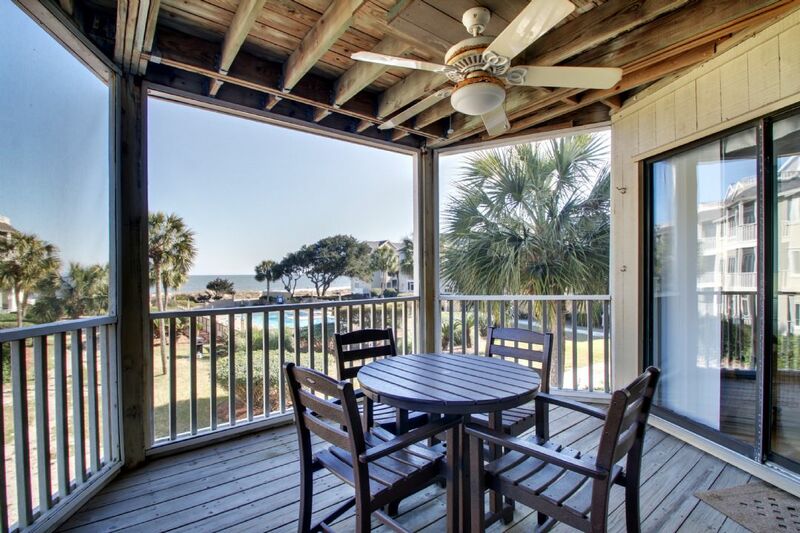 Great unobstructed view of the ocean and screened in porch. We loved the unit. There were a couple of minor issues. The door to the laundry are was broken and swung open and in the path to the kitchen. There were no coffee filters and we were supplied with one roll of toilet tissue for three days. They might want to fix the tv remote in the bedroom, as it is taped together. We didn't use it, so I assume it works. Other than that, supplies were ample and the place was clean and nicely furnished. The location was the best part. We would stay there again. We had an after-hours check in, which was handled conveniently for us. Great views! 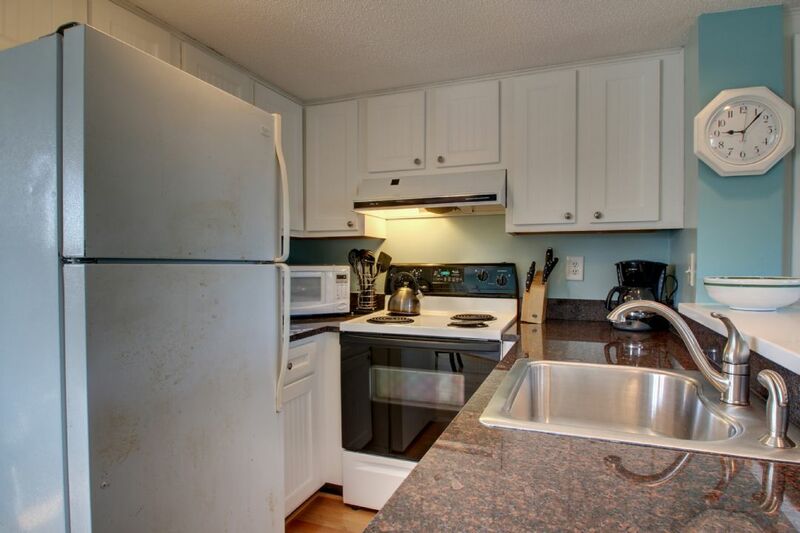 nicely appointed (kitchen could use new pots/pans and baking sheets). 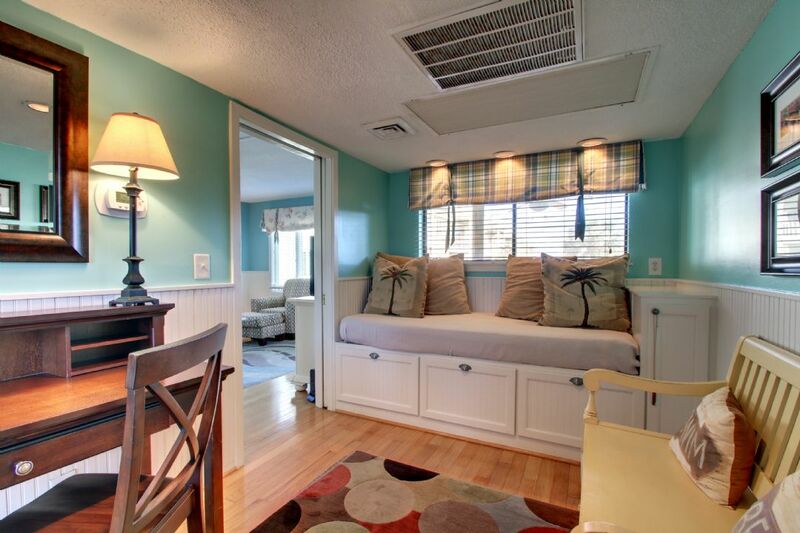 Comfortable beds and roomy layout. Island Realty excellent customer relations. We had a great time at IOP and Charleston. The cute little pool looked clean and inviting even though it was too cold to use it. The condo was comfortable for two people but would have felt crowded for 4. The ceilings were a little low and the appliances could use updating. The furniture in the living room was not the most comfortable but served its purpose. The bed was very comfortable. The patio being screened would be nice during mosquito season but did inhibit the view a bit. The bathroom was super clean. 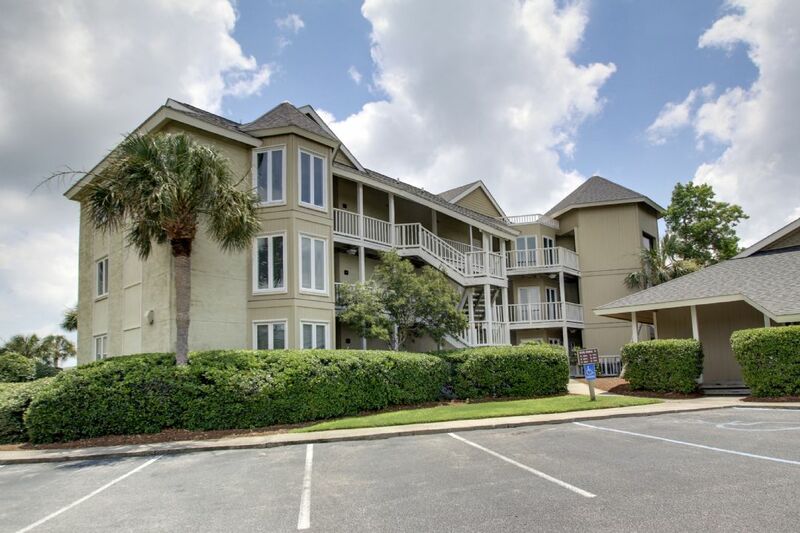 The Port O Call facility was in a great location and met our expectations for nice beach access and proximity to activities we enjoy. 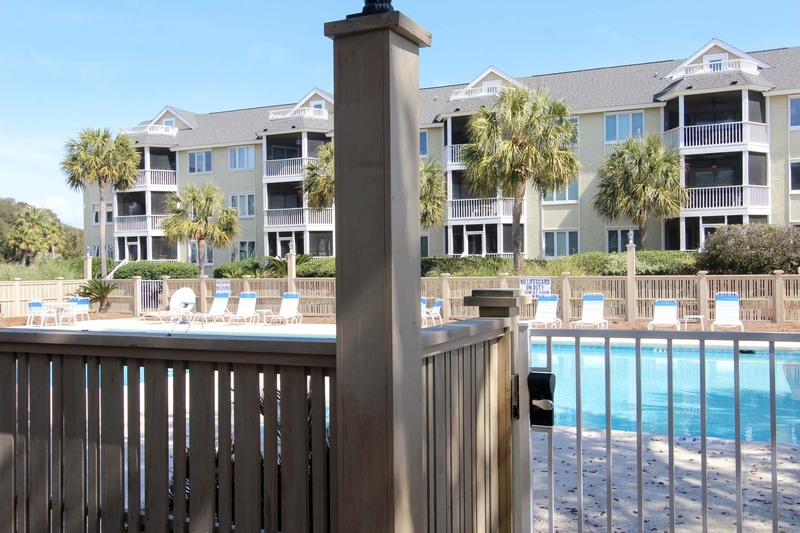 The condo unit had a nice layout and we enjoyed the view to the beach. The Condo was reasonably stocked, although the kitchen was missing some items (only 2 teaspoons, no measuring cup, limited pans.) Its probably time for the owners to update the furniture as the living room pieces are really showing their age, especially the well nicked up coffee table. But the pieces were comfortable and sufficient. We enjoyed four nights at this condo. 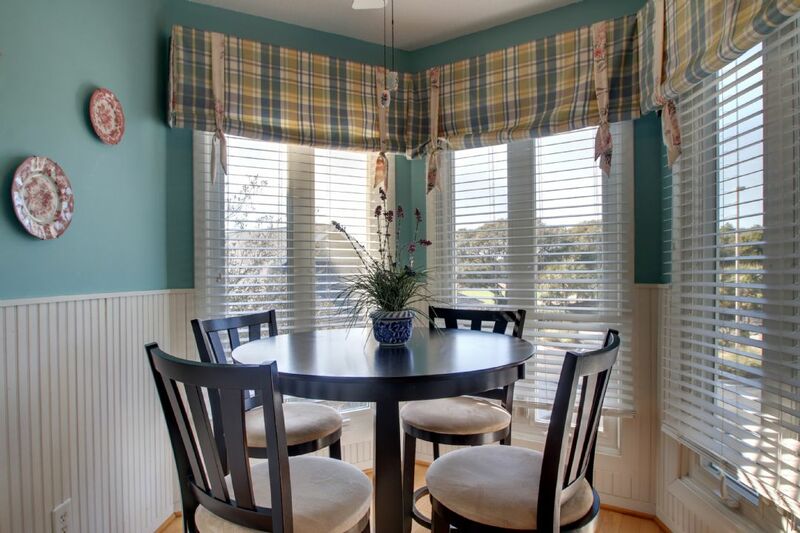 It offers a good view of the ocean and is very comfortable. 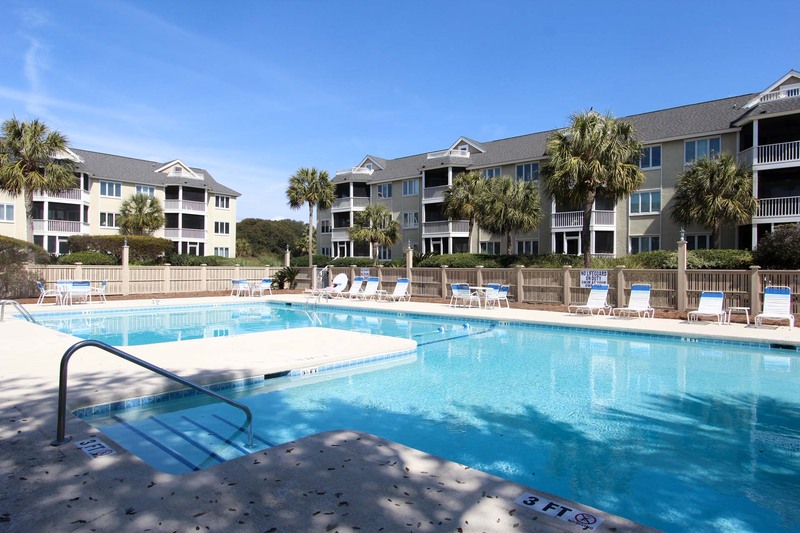 It is well maintained and adequately supplied with towels and kitchen utensils. However, the kitchen stove burners need repair and hot water in the shower is only warm. A very comfortable condo with pleasing decor. 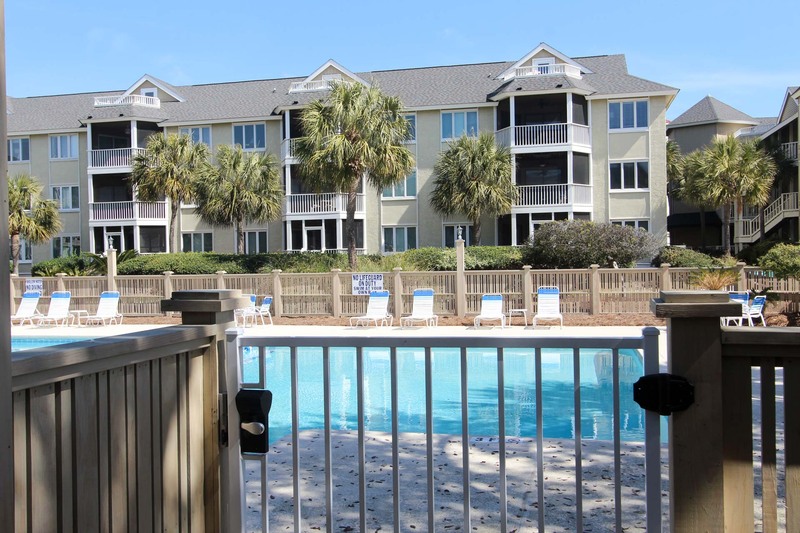 Access to the beach and pool were easy and convenient. The elevator was a huge help moving in and out. Parking was nearby. Several items should have been repaired, replaced before our check-in (light bulbs and commode bearings) so that we did not have to call maintenance. Seems like housekeeping could alert for needed light bulbs. We were dismayed that there was no recycle bin - this is a necessity that all properties should provide - and would prevent us from renting here again.